When you want to spend some time away from the games table or slot machines the best casinos will offer an in-house bar for you to enjoy unless you learn how to play online slots and choose that option. But how do you know which bar is right for you? The short answer is do you want a bar environment that is intimate and classy or busy and full of life. The bars that appeal to the latter will usually be sports focused. 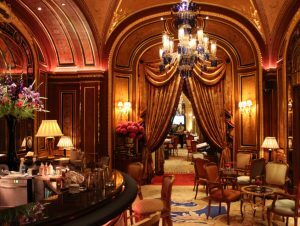 Whereas the more intimate bars will be recognisable by their elegant decor and focus on drink variety. This classy bar setting is like no other. They offer a level of sophistication and comfort to make anyone feel like a high roller. They have an elaborate decor that has to be seen to be believed. In between playing games and placing bets the bar is the ideal place to enjoy a fine, vast selection champagne. They also have a fantastically original menu of cocktails to enjoy. This popular casino has two unique high quality bars on offer. The Empire Casino also contains the Icon Balcony Bar. Here players can enjoy the casino’s finest section of drinks available. The terrace overlooks the iconic Leicester Square, giving customers an experience they are sure not to forget in a hurry. The bar is host to many A-Listers during movie premieres, giving the establishment that extra touch of class.